Did you know that how you cope with life stress and the general hubbub of modern society may increase your risk for insomnia? I’ve found myself snacking at night more often than usual, and not on the right foods. Even when you know better, you can slip up and compromise your sleep in the process. New research by the American Academy of Sleep Medicine and published by the journal Sleep in July is the first to pinpoint particular coping behaviors through which stress leads to the development of insomnia. The study involved a community-based sample of 2,892 sound sleepers, who had no history of insomnia. Participants reported the number of stressful life events that they had experienced in the past year – things like divorce, a serious illness, a major financial problem, or the death of a family member or friend. They also reported the perceived severity and duration of each stressful event, along with the coping strategies they used in the seven days following the stressful event. After one year, participants were then assessed and identified as having an insomnia disorder or not. This is defined as having symptoms of insomnia occurring at least three nights per week for one month or longer with associated daytime impairment or distress. Overall, the follow-up assessments revealed an insomnia incidence rate of about 9 percent. Each additional stressor, researchers found, increased the odds of developing insomnia by 19 percent. In addition, the results showed that coping with a stressful event through behavioral disengagement – that means giving up on dealing with the stress altogether – or by using alcohol or drugs greatly contributes to the development of insomnia. Interestingly, the coping technique known as self-distraction, such as watching TV or going to the movies, does the same. These findings highlight the need for a multidimensional approach to stress assessment in future studies and clinical practice, according to researchers. 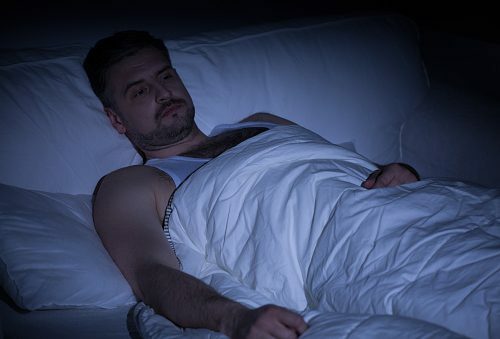 Today, short-term insomnia disorder lasting less than three months happens to 15 to 20 percent of adults, according to the American Academy of Sleep Medicine. It’s more prevalent in women than in men. But let’s face it: Sometimes, there’s no avoiding the stresses that interfere with a good night’s sleep. But you can try taking a break whenever your body needs it most. Take more time out to be with friends and family. Before going to bed, write down whatever is bothering you most and set it aside for the next day. Avoid over-stimulation, instead doing more comforting, sedative things, like jigsaw puzzles, walking the dog and even knitting. If these measures don’t help you to rest more soundly, talk to your family doctor about strategies to reduce your stress levels – and improve your overall sleep.